Food Costs > How Much Does a Full Sheet Cake Cost? How Much Does a Full Sheet Cake Cost? A sheet cake is a simple cake that usually only involves a single layer and either has buttercream or a whipped frosting. 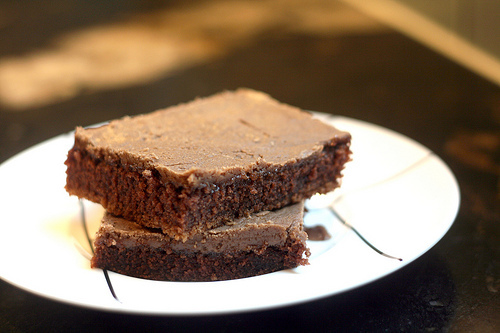 Sheet cakes are baked in a large, flat rectangular pan and are readily available in most grocery stores or bakeries. On average, a sheet cake can cost anywhere from $25 to as much as $125. The cost will depend on the size of the sheet cake, the ingredients that were used, the decorations, type of frosting and where it’s purchased. We researched some of the most popular retailers and bakeries across the United States and were able to come up with the prices in our table noted below. Bettersweet Bakery, located in Wisconsin, lists the prices for their sheet cake on their website. A 9×13, for example, will cost $35 to $39, while a 12×18, a sheet cake enough for up to 40 servings, can cost $62 to $66. According to some members on BabyCenter.com, one member had paid $20 for a 1/4 sheet cake, while another said she found prices to be about $40 for a half sheet at most local grocery stores. Rose Atwater at RoseBakes.com created a very well thought out and a detailed guide explaining what you should charge for a cake if you were to create one. Inside the comment section, she said she usually charges $3 per serving. Sheet cakes are often broken down into the following categories: quarter, half, larger than average half sheet and full sheets. A quarter sheet (9″ x 13″) can serve about 30; A half sheet (11″ x 15″) can serve close to 50; a larger than average half sheet (12″ x 18″) can serve about 60; and lastly, a full sheet (16″ x 24″) can serve 96. Refer to our sheet size table below. Depending on the bakery, most will serve a few common flavors, most often chocolate or vanilla. These two flavors will often by your cheapest choice, but many bakeries will be able to accommodate other requests for a premium. The estimates include above should include the buttercream frosting, a decorative border and a few lines of simple text. Custom decorations, often offered by a local bakery, can increase the price. For example, adding sugar flowers or chocolate handmade flowers could cost an additional $50 to $350, depending on the size of the cake and the number of decorations needed. A custom cake topper, if necessary, can cost another $25 to $100; again, depending on the topper. A simple fondant bow attached to the side or on top of the cake can cost $25 to $45. Specialty cake flavors, frosting and/or filings outside of what the bakery usually includes in their cake can increase the price by $5 to $25+ per cake. Most bakeries will deliver the cake if need be for a small fee; however, if it’s outside of the bakery’s radius, then the delivery fee will increase. Most of the time, this fee will be in the $25 to $50 range.